Everyone who attends the MTAGS 2012 workshop is welcome to participate in the attendee prize giveaway. This includes all attendees, speakers, panelists, program committee members, and steering committee members. To be eligible to win, you must register online, with your name, affiliation, and email address. Your information will only be used to inform you of future MTAGS workshop activities. One lucky winner will be drawn at random from the pool of registered people at 5:30PM right after the Best Paper Award. The lucky winner must be present at the time the winner is announced, or the prize will go to the next lucky winner. 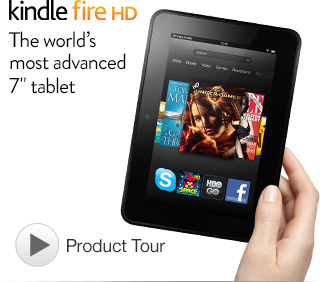 The pize is a Kindle Fire HD tablet.